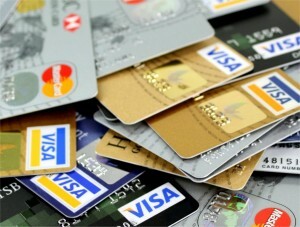 Americans use credit cards in preference to home loans. When financing a big purchase US consumers are turning to their credit cards rather than using the equity in their homes to get a further home loan. As a consequence credit card indebtedness is set to rise to around 925 billion USD by the end of 2015 which is a figure far greater than home loans. US Banks are competing for short term loans and the current low interest rates have made some home loans unprofitable leading to lenders withdrawing from the mortgage market. There is no sign of this position changing but it is an expensive way for the homeowner to borrow money with credit card rates at around three times the amount of home loan rates at an average credit card rate of 13 percent. Contributors to this trend have been the dramatic fall in home values which in a lot of areas have not recovered to their 2008 values and a loss of confidence in the perpetual increase in the value of property. Arrangement fees can be costly when arranging a home loan whilst a credit card limit can often be extended simply by a telephone call.